The ingredients come together easily in a mixer; what is unusual about this blondie is the inclusion of white chocolate chips. The batter is very thick. Be patient spreading it into a floured 9x13 baking pan. ... it does take about 30 minutes for it to reduce into this caramelly, creamy, rich sauce. Make sure you do this over low heat and simmer, stirring occasionally. Almost perfect ... until you load on the Maple Butter sauce. 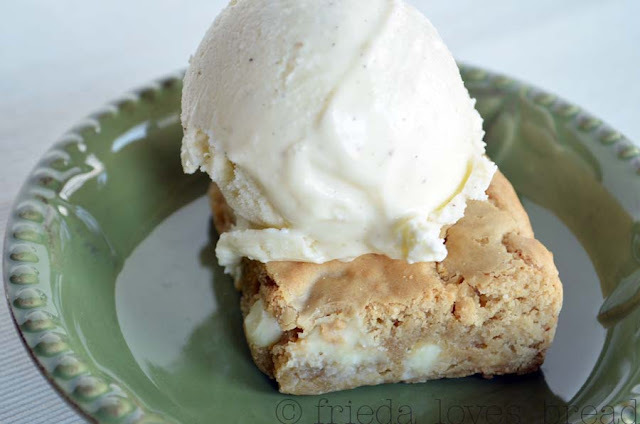 A chewy brown sugar brownie chock full of white chocolate chips, goes ultimate with a scoop of vanilla ice cream and a sweet maple butter sauce. 1. Sift together flour, salt & baking powder. Set aside.2. In a large mixing bowl, stir in melted butter with brown sugar. 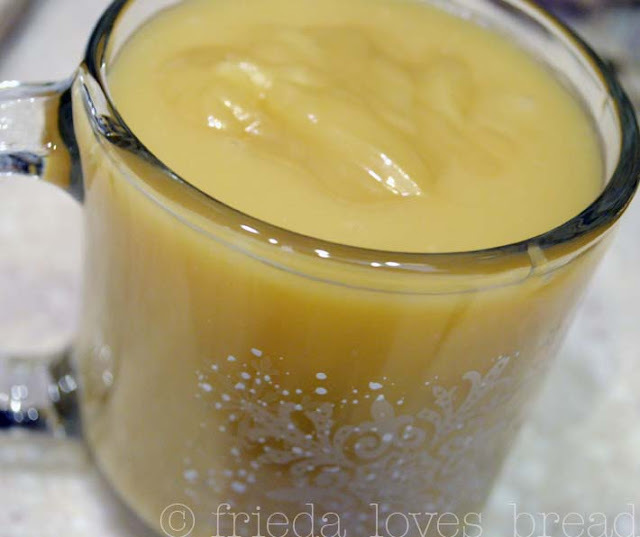 Add beaten eggs and vanilla. Mix well.3. Add to flour mixture. Stir thoroughly, but do not over mix the batter. Fold in nuts and chocolate chips. Batter will be very thick.4. Lightly grease a 9x13 baking sheet and flour it. 5. Dump batter into the middle of the greased pan. Carefully spread the batter to the edges of the pan.6. Bake in a preheated 350°F oven for 25-30 minutes, or till toothpick inserted in the middle comes out clean. 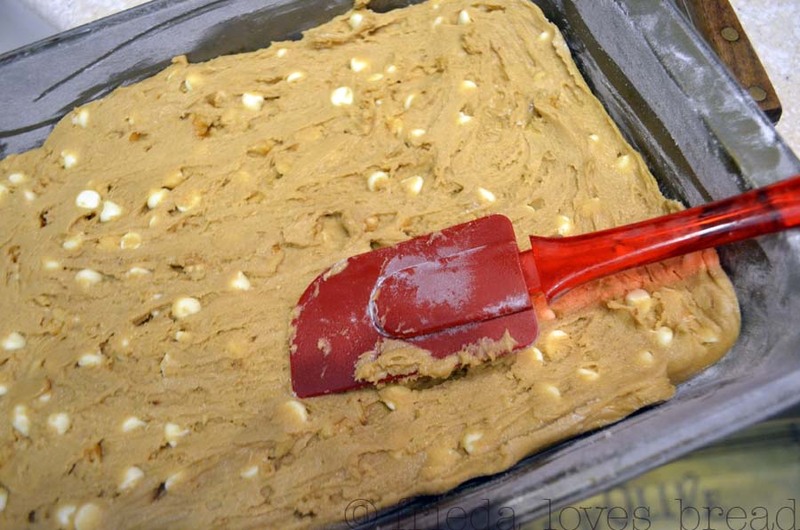 Allow bars to cool completely on a wire rack before cutting into squares.SAUCE - make while the blondies are cooking1. 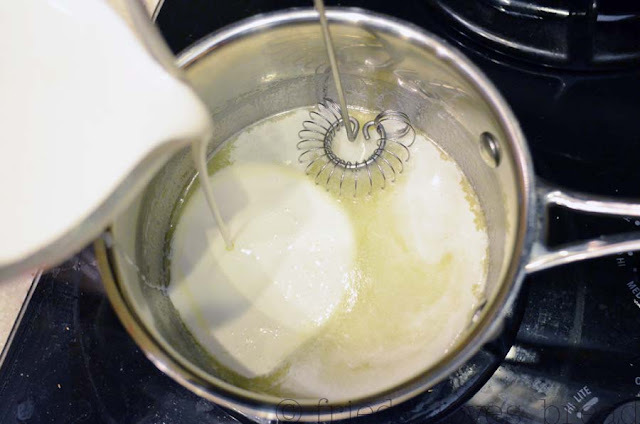 Melt the butter in a medium saucepan over medium heat. Do not allow the butter to burn.2. Add the heavy cream, maple syrup and corn syrup. Allow this mixture to simmer over medium heat for about 20-30 minutes, stirring occasionally. You do not want to bring this to a boil; just a nice, bubbly simmer.3. Once the sauce has reduced by about 1/3, it is ready. Serve warm with a scoop of vanilla ice cream, then pour the warm maple butter sauce over the top, sprinkling with reserved chopped walnuts. This could not look more heavenly! That's so much better because on the rare occasions we eat at Applebee's I'm always too full for dessert! That sauce does look pretty fantastic! 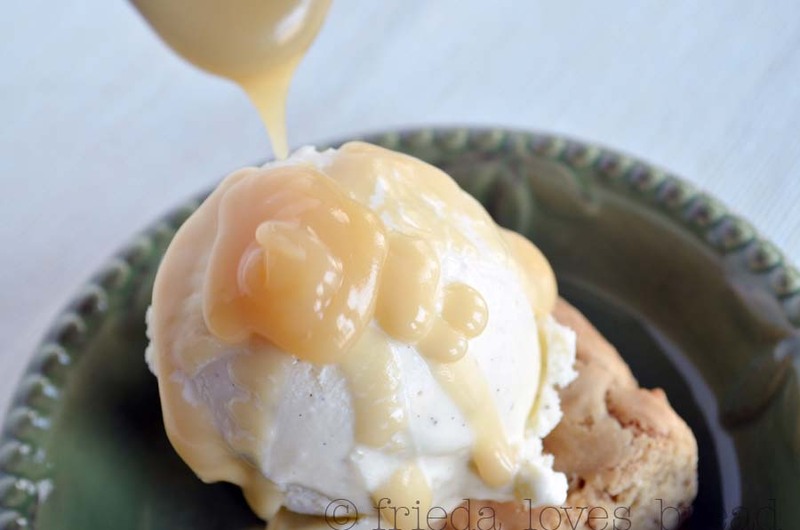 That maple butter sauce is drool-worthy. Yummy! oh this looks fabulous, so yummy thanks for sharing!